Something fried is always fun to eat with a beer, but the richness can be a bit much, so here I’ve pickled my vegetables first! The light herby sharpness goes beautifully with the crunchy coating, I’ve used rice flour for this, which works very well. It can also be done a little in advance as it stays lovely and crunchy for a while! I also made some pretty amazing potato wedges, I’ll post the recipe for them tomorrow! Put all the pickle ingredients into a saucepan, cover and bring to the boil. Turn the heat down and simmer for 4 minutes shaking the pan once or twice. 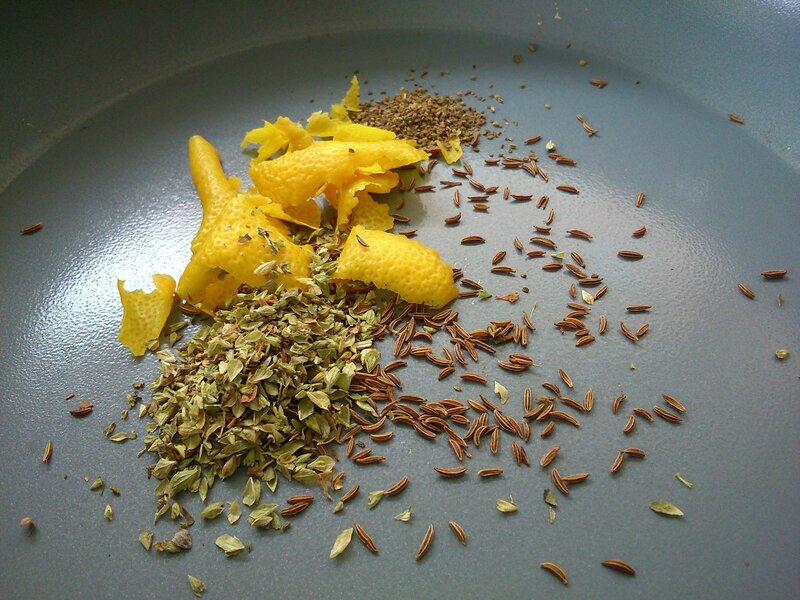 The pickle herbs and spices, shiny bright lemon zest! Turn the heat off, and leave the cauliflower to cool in the pickling liquid (still covered). Heat the oil in a heavy saucepan or deep fryer, to 160 degrees c.
Mix the salt and rice flour together in a shallow dish and press each piece of cauliflower into it coating well. The pickling liquid will help the rice flour to stick. 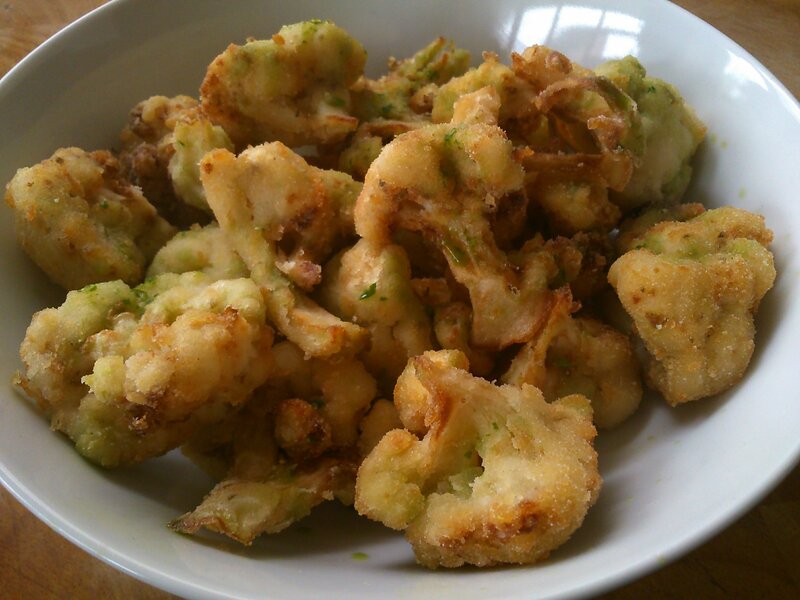 Transfer the cauliflower to the hot oil, and fry for 3 minutes, until golden brown. Do this in batches if necessary. Drain the cauliflower on kitchen towel. To make the sauce, simply whizz the ingredients together in a small blender or processor, I use an attachment from my hand blender. Serve a little of the sauce drizzled over the cauliflower, and the rest for dipping.